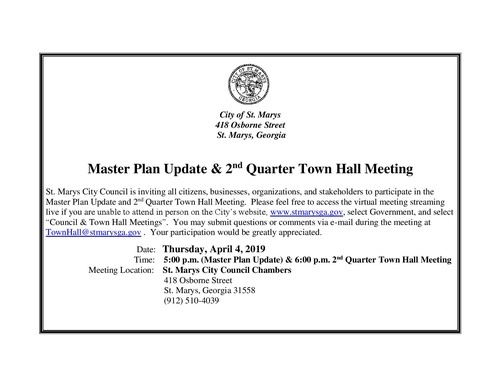 St. Marys City Council is inviting all citizens, businesses, organizations, and stakeholders to participate in the Master Plan Update and 2nd Quarter Town Hall Meeting. 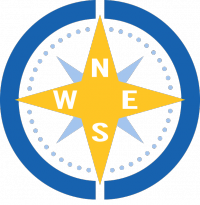 Please feel free to access the virtual meeting streaming live if you are unable to attend in person on the City’s website, www.stmarysga.gov, select Government, and select “Council & Town Hall Meetings”. You may submit questions or comments via e-mail during the meeting at TownHall@stmarysga.gov . Your participation would be greatly appreciated.